Just can't get enough of Ngoc Lan. She captivated so many hearts during her time here on earth and continues to this day. Ngoc Lan, for so many young Vietnamese-Americans and overseas Vietnamese in other places of the world, represented hope and inspiration. 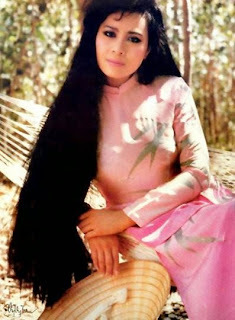 As she started out, she was just a young girl from a small town in Vietnam, and then became an iconic music sensation adored by fans from all over the world. It made many of us think and dream, that if she could make her dreams come true, so can the rest of us. That is why Ngoc Lan is so dearly loved.